Hereditary Spherocytosis (HS) is the most common intrinsic red-cell-membrane disorder associated with hemolysis. The incidence of HS in the United States is 200 to 400 cases per million population. In approximately 75 percent of cases, this disorder is inherited according to an autosomaldominant pattern. The molecular defect responsible for the inherited membrane lesion in hereditary Spherocytosis is not known.1,2 From a physiologic perspective, the abnormality causes red blood cells to lose membrane fragments and form spherocytes as cells age. Normal discoid erythrocytes (7 µ in diameter) are deformable and capable of bending through small (3 µ) fenestrations in the splenic sinusoids. Spherocytes, however, are extremely rigid bodies and have difficulty traversing the splenic microcirculation. As a consequence of splenic stagnation, many spherocytes are phagocytosed by reticuloendothelial cells lining the sinusoids. Moreover, for HS erythrocytes that escape destruction splenic trapping causes cellular injury, since the local environment of the spleen acidic pH and low glucose concentration) leads to further membrane loss and spherocyte formation.3 These injured red blood cells are destroyed during subsequent sojourns through the splenic circulation. The spleen thus contributes to hemolysis in two ways: (1) it removes rigid spherocytes from the circulation, and (2) it provides an environment in which HS erythrocytes are prone to accelerated spherocyte formation. Signs and symptoms of HS vary with the patient's age and severity of hemolysis. Approximately 50 percent of patients present with prolonged or excessive hyperbilirubinemia in the neonatal period.4 In older children, HS may be suspected because of anemia, jaundice, or splenomegaly. Frequently there is a family history of anemia, jaundice, cholelithiasis, or splenectomy. A negative family history does not rule out the possibility of HS, however, since both parents are hematoiogically normal in 25 percent of cases. Presumably, this reflects that the gene has variable penetrance or that there is a high spontaneous mutation rate for this disorder. Occasionally the physical examination reveals entire normality, although generally there is some degree of splenomegaly. In cases with moderate to severe hemolysis, there may be significant pallor or icterus. Tachypnea, tachycardia, and/or a systolic flow murmur may be observed if anemia is more severe. Anemia due to hereditary Spherocytosis generally is mild, with the hemoglobin typically between 9 and 12 gm./100 ml. (Table 1). Occasionally the hemoglobin is lower, particularly during concurrent viral infection (see below). The mean cell volume is slightly decreased for the degree of reticulocytosis, while the mean cell hemoglobin is normal. The mean cell hemoglobin concentration consequently is increased (to 35-36 gm./100 ml. of red blood cells). Since few conditions other than HS cause an increased hemoglobin concentration, this finding is useful in suspected cases. The peripheral blood smear almost always contains small dense cells (microspherocytes) lacking an area of central pallor. The reticulocyte count is elevated (5 to 15 percent), and some degree of hyperbilirubinemia (1.5-3.0 mg./100 ml.) usually is present. The serum bilirubin concentration of neonates frequently is very high because of their limited ability to metabolize bilirubin. The incubated osmotic fragility test is one of the most useful laboratory tests in the diagnosis of hereditary Spherocytosis. In this procedure, the patient's blood is incubated overnight at 37°C. and then subjected to osmotic stress by incubation in dilute sodium chloride solution. Compared with normal RBCs treated under the same conditions, erythrocytes from patients with HS are much more sensitive to osmotic stress (i.e. , hemolyze at a lower salt concentration). This occurs for two reasons. First, patients with HS have spherocytes that have a lower surface area:volume ratio and thus are unable to swell significantly in the presence of hypotonic stress. Second, HS erythrocytes lose excess membrane during the incubation period (i.e., they become more spheroid) and thus hemolysis is enhanced. Anemia, reticulocytosis, hyperbilirubinemia, and spherocytes in the peripheral smear are the hallmarks of HS. 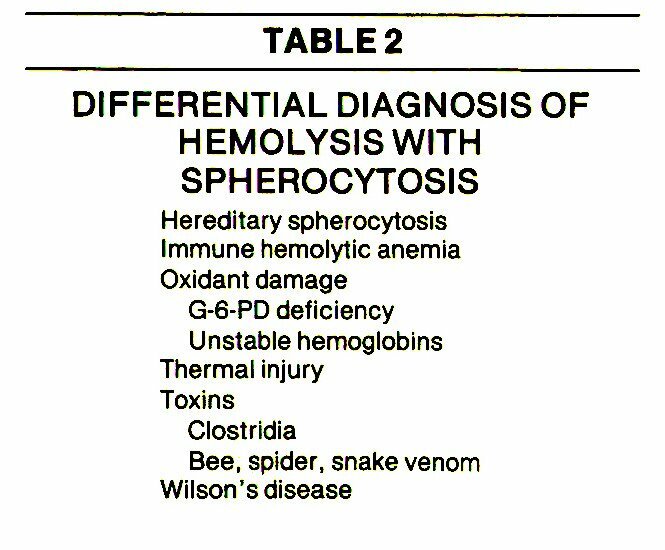 Occasionally, however, other causes of spherocytic hemolytic anemia also should be considered (Table 2). Immune-mediated hemolytic anemia can result in membrane loss as antibody-coated areas of the RBC membrane are removed by the reticuloendothelial system. Such loss is usually determined by a positive Coombs' test. In infants with hemolysis due to ABO incompatibility, however, the Coombs' test may be negative, since neonatal RBCs contain relatively few ABO antigens on their cell surface. Hemolysis due to ABO incompatibility usually is suspected after the blood types of the mother (usually O) and infant (usually A, occasionally B) are determined. In these cases, the indirect Coombs' test on the patient's serum may detect maternal antibodies that react against type-specific RBCs. Another diagnostic difficulty is caused by patients with HS who present during an aplastic crisis when there is no reticulocytosis. Usually, however, such patients have splenomegaly, some degree of hyperbilirubinemia, and an increased number of spherocytes. In rare instances, a patient with HS may have a second disorder, such as iron deficiency6 or obstructive liver disease7 - conditions that increase the RBC surf ace-area: volume ratio and usually are associated with "target" RBCs. In the presence of HS, however, this second disorder may counterbalance the HS membrane loss, causing an improvement in the peripheral smear (normal discoid RBCs instead of spherocytes), normal osmotic fragility, and, occasionally, even reduction in the rate of hemolysis. Splenectomy, the definitive therapy for hereditary spherocytosis, generally leads to resolution of anemia, reticulocytosis, and jaundice." While decreasing hemolysis, however, splenectomy does not "cure" the intrinsic RBC disorder. The HS erythrocytes continue to lose membrane fragments and form spherocytes. In the absence of the spleen, however, these abnormal cells now can survive in the circulation. In foct, the peripheral blood smear commonly reveals more spherocytes following splenectomy than before surgery. For practical purposes, the treatment of children with hereditary speherocytosis entails three phases: (1) presplenectomy therapy, (2) splenectomy, and (3) postsplenectomy treatment. Presplenectomy. Supportive measures occasionally are necessary in the face of significant hemolysis. Neonates with severe hyperbilirubinemia due to HS are at risk for ke-iiicterus, and such infants should be treated with phototherapy and /or exchange transfusion as clinically indicated. On rare occasions, the anemia in children with HS is severe enough to cause symptoms (tachypnea, tachycardia), and transfusion with packed red blood cells is indicated under these conditions. Most commonly, the degree of anemia is minimal, although viral infections lead to a further reduction in hemoglobin concentration. The infection-related worsening of anemia, called an "aplastic crisis," presumably occurs because certain infectious agents transiently suppress normal erythropoiesis. The hematocrit can fall precipitously, since continued accelerated destruction of spherocytes is not balanced by increased RBC production. During these episodes, patients require careful monitoring and red-blood-cell transfusions if there are signs or symptoms of cardiopulmonary embarrassment. It should be emphasized that suppression of red-blood-cell production during viral infections is not unusual and presumably also occurs in normal persons. The severity of aplastic crises in patients with HS ( as well as other chronic hemolytic anemias) is due to the fact that accelerated erythropoiesis is needed to balance rapid red-cell destruction. Parents should be advised to seek medical attention immediately if children with HS appear unusually pale or lethargic during a viral infection. A second type of "aplastic crisis" occurs in HS patients as a consequence of folic-acid deficiency. Folie acid is required to sustain erythropoiesis, and, normal dietary folate may be inadequate for children with chronic -hemolytic anemia. For this reason we instruct all HS patients to take supplementary folie acid 1 mg./day). Vitamin Bu stores almost always are adequate in children, and supplementary vitamin B12 is not necessary. Beyond the first year of life, supplementary iron also is not required, since iron utilized for hemoglobin synthesis largely is "recycled" from old red-blood cells. Splenectomy. Removal of the spleen in patients with hereditary spherocytosis clearly alleviates the anemia and allows circulating erythrocytes to survive a near normal lifespan. For this reason, "aplastic crises" cease to be a significant problem. The frequency of cholelithiasis (a consequence of chronic hemolysis and increased bilirubin turnover) also is markedly reduced following splenectomy. For these reasons, splenectomy is the obvious therapy for children with hereditary spherocytosis. On the other hand, it is now known that the spleen has a critical immunologic role in protecting against certain types of infections, and thus it is necessary to be cautious about "routinely" performing splenectomies for children with hereditary spherocytosis. Currently, we recommend splenectomy for most children sometime between five and 10 years of age. Before the spleen is removed, however, the patients should be immunized with the currently available pneumococcal vaccine. Postsplenectomy. The curative effects of splenectomy are reflected in the fact that the major problems following surgery are not hematologic but, rather, relate to infectious disease. In the absence of normal splenic function, children are at an increased risk of overwhelming sepsis from encapsulated microorganisms, particularly pneumococcus and Hemophilus influenzae. This risk is greatest in patients splenectomized before two years of age (rarely done for HS), although the risk is increased relative to the general population in those splenectomized at any age.7 The advent of pneumococcal vaccine largely obviates the problems of overwhelming pneumococcal sepsis.10 Nevertheless, since not all pneumococcal types are included in the current vaccine, one must be alert for the possibility of overwhelming pneumococcal sepsis in previously vaccinated children." The most important aspect of this awareness is to have parents alert their physician at the first sign of fever in a previously splenectomized child. The role of prophylactic antibiotics for immunized asplenic children currently is a matter of debate.12 Our present policy is extremely conservative, in that all splenectomized children previously vaccinated with pneumococcal vaccine also are prescribed penicillin prophylactically (125 mg. twice a day). In addition, at the onset of fever (greater than 38.5°C.) parents are advised to increase the penicillin frequency to four times a day and to immediately notify their physician. 1. Valentine, W. N. The molecular lesion of hereditary spherocytosis (HS): a continuing enigma. Blood 42(1977), 241-245. 2. Lux, S. E., and Glader, B. E. Disorders of the red cell membrane. In Nathan, E. E., and Oski, F. A. (eds. ): Hematology of Infancy and Childhood. Second Edition. Philadelphia: W. B. Saunders Company (in press). 3. Mayman, D., and Zipursky, A. Hereditary spherocytosis: the metabolism of erythrocytes in the peripheral blood and in the splenic pulp. Brit. J. Haematol27 (1974), 201-217. 4. Stamey, C. C. ,and Diamond, L. K. Congenital hemolytic anemia in the newborn. Am. J. Dis. Child. 94 (1957), 616-622. 5. Buchanan, G. R. Acute hemolytic anemia as a presenting manifestation of Wilson's disease. J. Pediatr. 86 (1975), 245-247. 6. Crosby, W. H., and Conrad, M. E. Hereditary spherocytosis: observations on hemolytic mechanisms and iron metabolism. Blood 15 (1960), 662-674. 7. Cooper, R. A., and Jandl, J. H. The role of membrane lipids in the survival of red cells in hereditary spherocytosis. J. Clin. Invest. 48 (1969), 736-744. 8. Schilling, R. F. Hereditary spherocytosis: a study of splenectomized persons. Semin. Hematol. 13 (1976), 169-176. 9. Singer, D. B. Post-splenectomy sepsis. In Rosenberg, H. S., and Bolande, R, P. (eds. ): Perspectives in Pediatrie Pathology, Volume 1. Chicago: Year Book Medical Publishers. 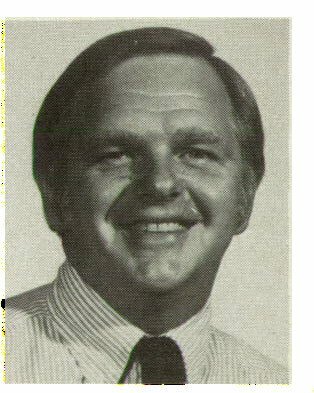 1973, pp. 383-411. 10. Amman, A. J., et al. Polyvalent pneumococcal polysaccharide immunizations in patients with sickle cell anemia and patients with splenectomy. N. Engl. J. Med. 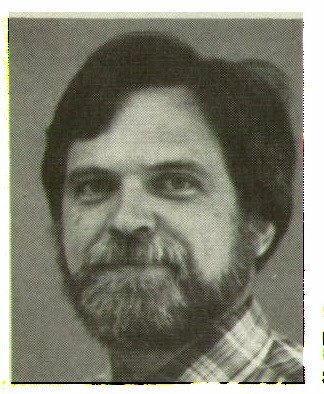 297_ (1977), 897-900. 11. Applebaum, P. C., et al. Fatal pneumococcal bacteremia in a vaccinated, splenectomized child. (Letter). N. Engl. i. Med. 300 (1979), 203-204. 12. Amman, A. J., and Diamond, L. K. Indications for pneumococcal vaccine in patients with impaired splenic function (letter). N. Engl. J, Med. 299 (1978), 788.